Jungle lords were nothing new in 1940. Edgar Rice Burroughs created Tarzan in 1914. Johnny Weissmuller had been playing him in the movies since 1932. Tarzan knock-offs like Bomba, Og, Son of Fire, Jungle Girl, Jan of the Jungle, Kwa of the Jungle, Kaspa the Lion Man, Sorak, Hawk of the Wilderness, Bantan, and Jaragu of the Jungle filled magazines and books. So why was there a sudden spike in jungle comics in 1940? The biggest reason for the increase in characters was the creation of a sister book for Fiction House's Jumbo Comics that featured Will Eisner's Sheena, Queen of the Jungle. The new comic was called Jungle Comics and it followed its name, featuring only jungle characters. It ran for 163 issues from January 1940 to Summer 1954. In the first year, Jungle Comics offered Kaanga, Wambi the Jungle Boy, White Panther, Tabu, Camilla, Captain Terry Thunder, Simba, King of the Beasts, Drums of the Leopard Men, White Hunters of the African Safari, Roy Lance, and Fantomah. Some of these characters were so popular they spawned comics of their own like Wambi Jungle Boy #1-18 (Spring 1942-Winter 1952) and Kaanga #1-20 (Spring 1949-Summer 1954). 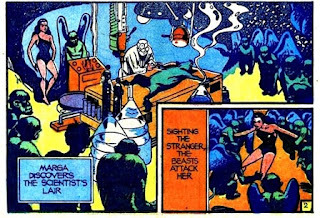 All of Fiction House's competitors took notice and jungle lords and ladies began to show up shortly afterwards in many comics. Fox’s Science Comics #1 (February 1940) largely filled with costumed heroes, created their first jungle gal, Marga the Panther Woman. (This was seven or eight years before Rulah, Jo-Jo Jungle King, Zago, Tegra, and Fox's other jungle denizens.) Marga and also Hillman's awful Blanda the Jungle Queen were the first out of the gates in the race for the comic jungle. 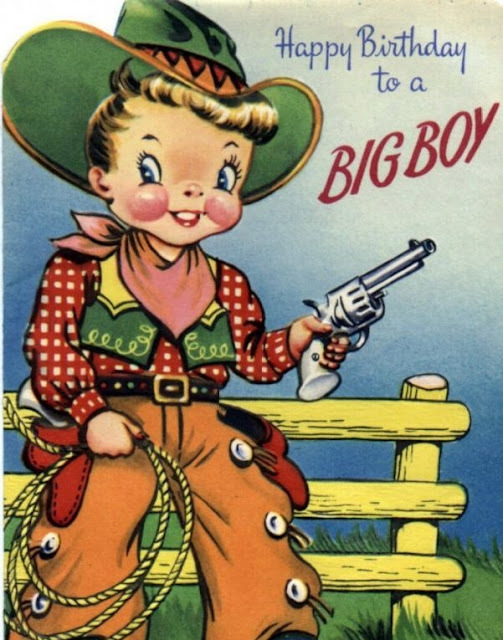 The comic's author and artist, James T Royal is not known, though it may have been Emil Gershwin using a pseudonym. 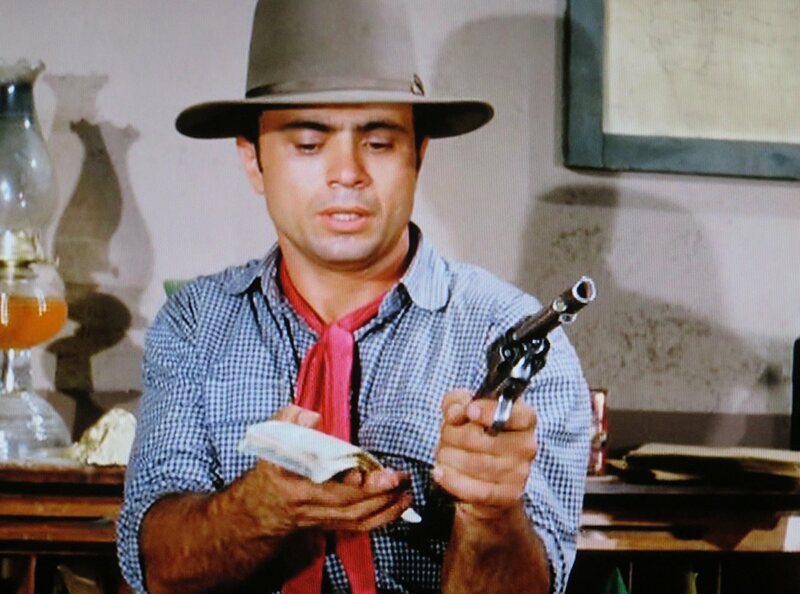 Louis Cazeneuve is known to have inked other people's pencils on the strip. Since Marga appeared in a comic dedicated to "Science" her origin had to be scientific. 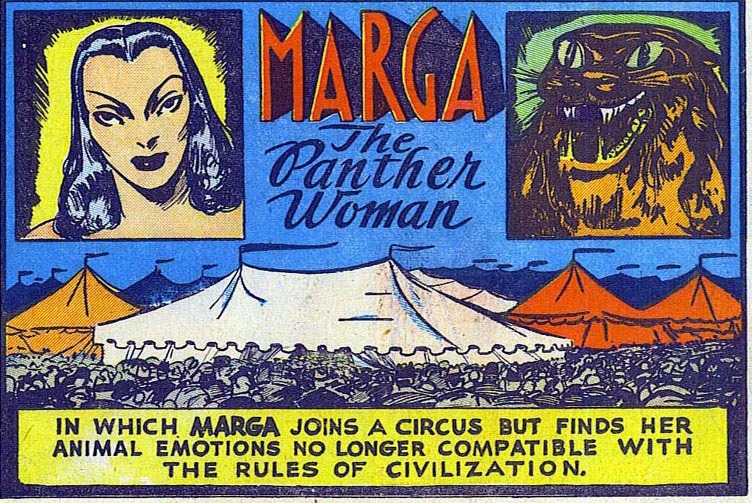 Marga possesses real panther abilities, such as speed and strength, along with wicked claws, because mad physio-biologist Von Dorf wanted to create a race of panther-people. Once Marga is transformed, she tries to kill the doctor so that no one else should be subjected to the treatment. She leaves, thinking him dead. Von Dorf revives, then proceeds to blow himself up out of some desire to keep his secret process from others. 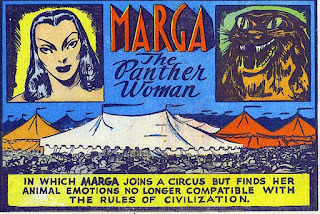 In the end, Marga alone will possess the panther-like abilities. As a Pre-Code comic, Marga's first adventures are violent and the tone is harsh and unfriendly. 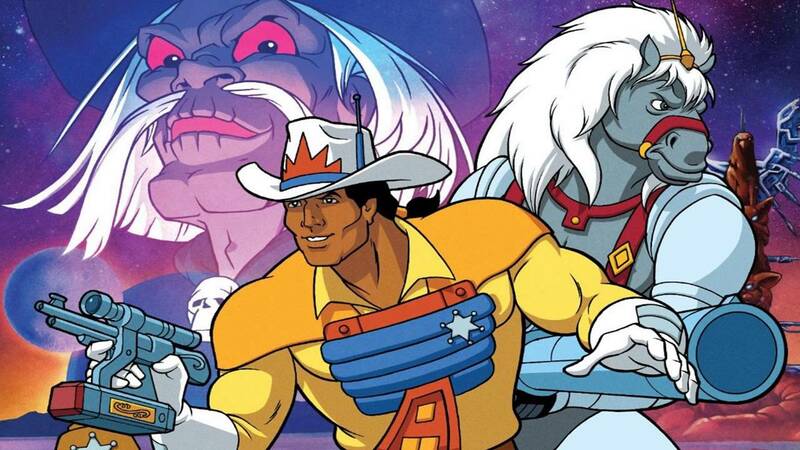 Again, since Marga appeared in a science fiction comic, her next adventure is in a weird, futuristic city where brave flyers like Ted Grant face off against the evil Uchunko and his spaceship marauders. Marga takes a back seat as Tom rescues her from a pit filled with snakes. The story ends and the next time we see Marga, she is living in the jungle like any self-respecting jungle lady. No more sky pirates or spaceships. From now on, Marga will be a terrestrial (if highly unusual) earth dweller. After defeating the Professor, Marga gets a chance to join the circus. She becomes the star of the show with her tiger-wrestling and -throttling act. 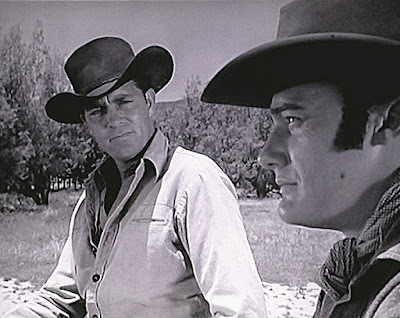 The evil Dr Borgia wants Marga, but she spurns his advances. When rival circus owner Randler wants to buy Marga out, he joins forces with Borgia to implant lion essence in the tiger, so that it will kill Marga. Marga defeats the savage beast only to become one herself, killing Borgia and Randler. 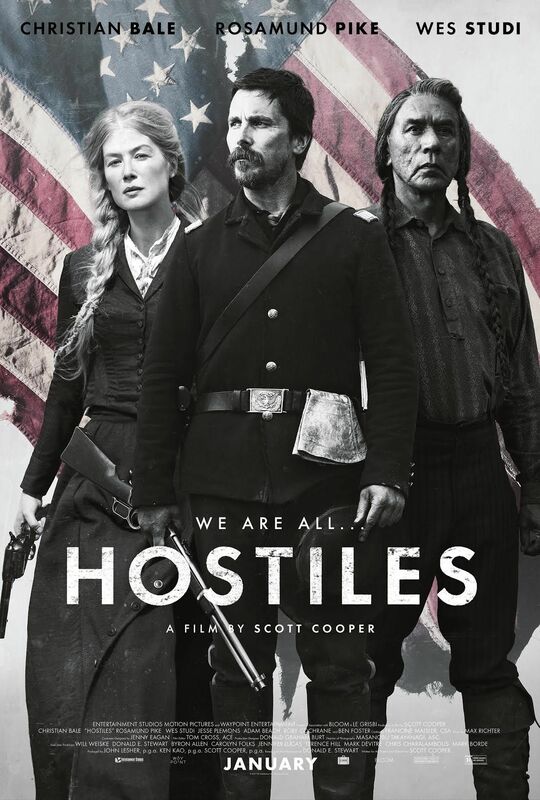 She goes to trial for her crimes but the judge won't sentence her. She is free to return to the circus but chooses instead to return to the jungle. This installment is particularly noteworthy for its cartoony and inconsistent artwork. The following story is better drawn in places (with small cribs from the Sunday funnies Tarzan) but almost lacks any real logic. The local Africans are trying to kill a rogue elephant, but Marga intervenes. With the elephant's help she rescues the village warriors. The person who was aggravating the pachyderm (not really sure who that is?) is killed, so all is well again. The artwork up to this point has been inconsistent, with the style and conventions for speech bubbles and lettering changing each time. 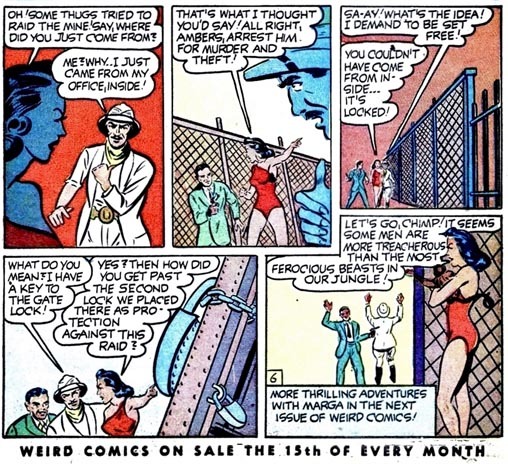 Now that the strip was being drawn by a single team, a standard opening was created for Marga: "Inoculated with the traits of a black panther, MARGA, an attractive white girl, joins aviator TED GRANT on an expedition into the jungle fastness." 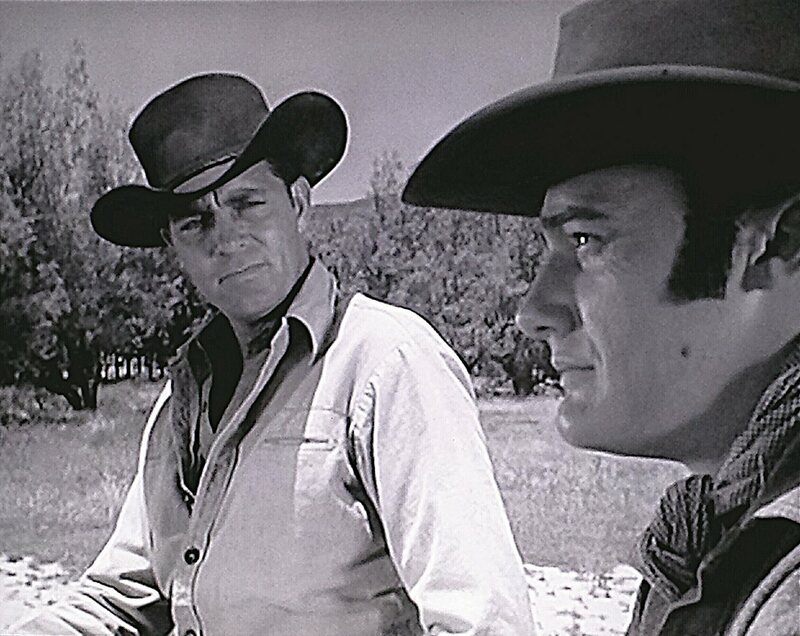 Ted Grant, now an African adventurer rather than a spaceship captain. Shortly after this, Marga moved from Science Comics to Weird Comics where she did her thing side-by-side with The Sorceress of Zoom, Dr Mortal, and The Eagle, once again a jungle gal in a superhero magazine. But this time Marga settled into her groove with evil hunters, an occasional caveman or dinosaur, and plenty of obvious evil baddies. She rescues Ted, Ted rescues her, and nothing much changes in the jungle for a dozen more similar tales. Marga's blue-black dress is now red and her less vicious attributes (no longer a man-killer) and plots are as time-worn as bad Hollywood B-movies. And so Marga went out, not with a savage jungle yell, but with a wave and an unfulfilled promise for more adventures. 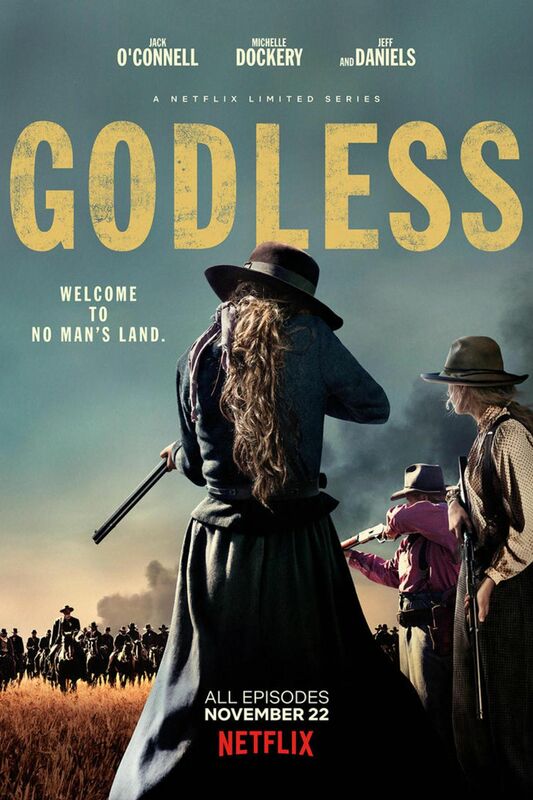 Pax and I are joined by special guest Shawn Robare (Branded in the '80s, Cult Film Club) to talk about the Netflix mini-series Godless starring Michelle Dockery, Jeff Daniels, and Jack O'Connell. Pax and I celebrated the 2nd anniversary of Hellbent for Letterbox with a quick look over our shoulders at the last two years, then forward for a few hints of things to come. 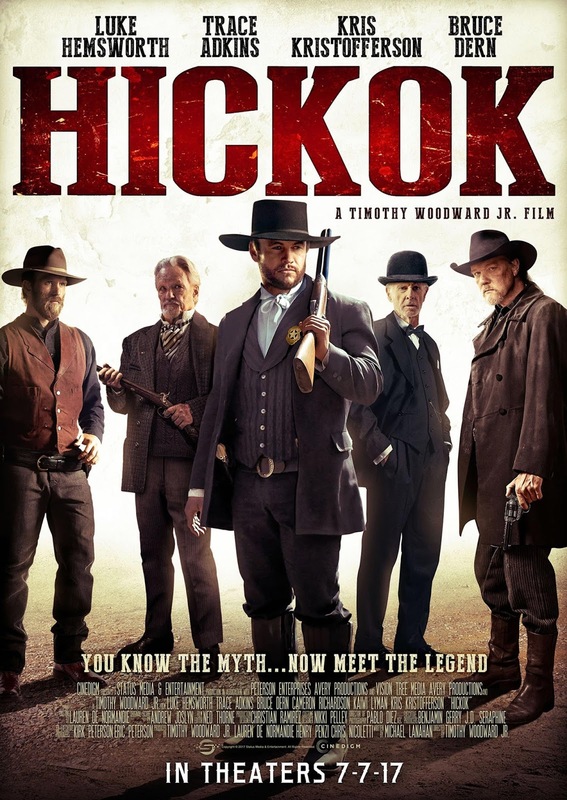 We also caught up with brief discussions of Hickok (2017) and Billy the Kid episodes of Tales from Wells Fargo and Death Valley Days. 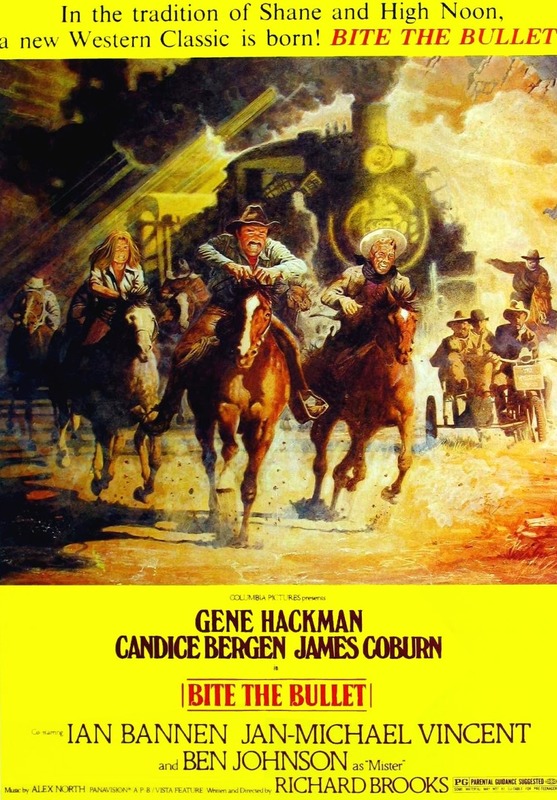 In the most recent Hellbent, Pax and I talk about what we assumed was Cannonball Run in the West. Will Bite the Bullet be another case of foiled expectations like Bandolero! and 100 Rifles? 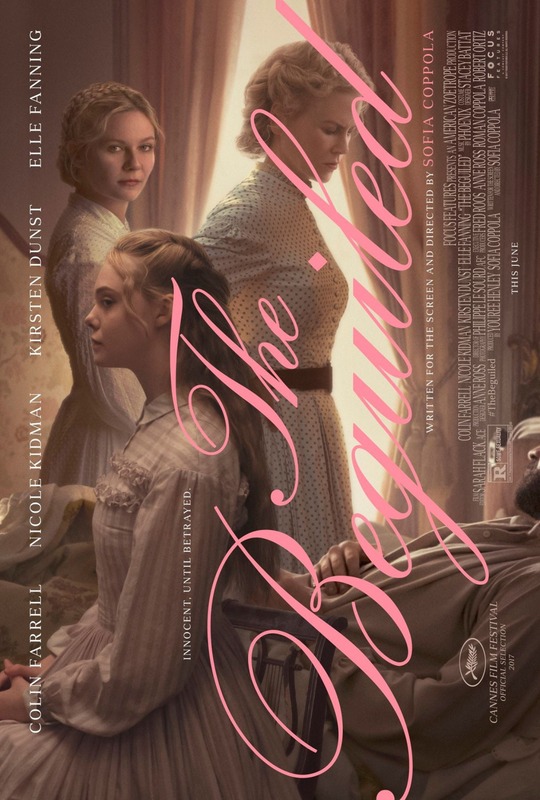 I also give a quick review of the 2017 remake of The Beguiled by director Sofia Coppola; starring Nicole Kidman, Kirsten Dunst, Elle Fanning, and Colin Farrell. Mystery Movie Night has a brand-new, permanent co-host! Evan Hanson has been a guest on a lot of podcasts, including Nerd Lunch, Hellbent for Letterbox, and Starmageddon (Rest in Peace) and he was also a guest on Mystery Movie Night Episode 20. Since my brother Mark isn't able to join us most of the time, we've been thinking about re-adding a fifth member and we're thrilled that Evan was interested. For his inaugural episode, we talked about James Bond, Joey Ramone, and Almond Joy. Lots of strong opinions on this one. I think it's especially funny.